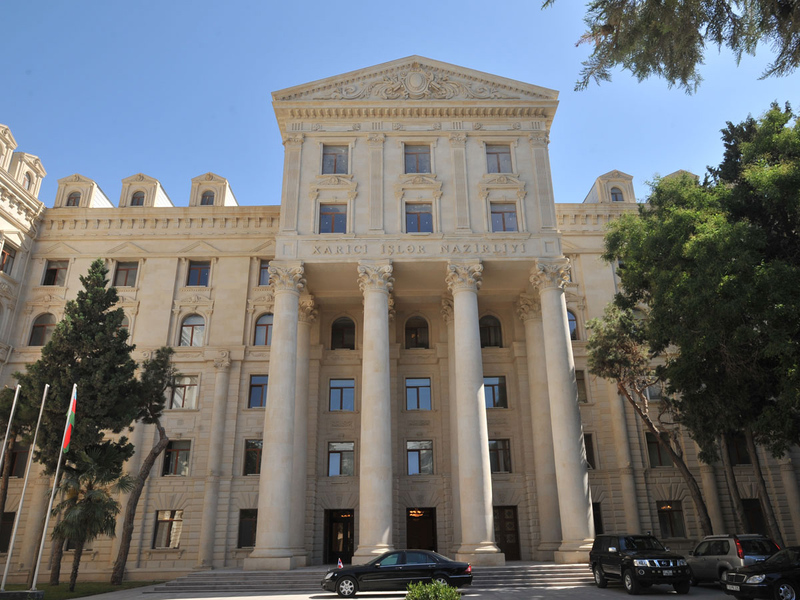 The Armenian leadership admits that its country is in a state of isolation and that it has no access to regional transportation projects, Azerbaijani Foreign Ministry’s Spokesperson Hikmat Hajiyev told Trend. He was commenting on the interview of Armenia’s former president Serzh Sargsyan with Russia’s Izvestiya newspaper. “Apparently, the Armenian leadership, which has not achieved any results in the development of the state and the improvement of well-being of the people, is trying to compensate for this by means of war and propaganda on the eve of the forthcoming change in power. Over the past 10 years, Armenia’s external debt has been growing rapidly and nears $7 billion. This figure surpassed the level of external debt defined in national legislation in relation to GDP,” said Hajiyev. “Unemployment is at a high level, accounting for 18.9 percent, and poverty stands at 32 percent. In reality, these figures are even higher. The country is experiencing demographic crisis. Speaking against the background of this real socio-economic picture about some kind of economic development is an illusion,” he noted. “In the interview, the Armenian leadership admits that the country is in self-isolation and is deprived of access to regional transportation projects. Due to the continuation of the policy of aggression and occupation against Azerbaijan, territorial claims to other neighboring states, today Armenia has isolated itself both geopolitically and geoeconomically,” added the spokesperson. Hajiyev said that contrary to the commitments undertaken by Armenia on the basis of the UN Charter, Armenia, using force against Azerbaijan, occupied 20 percent of the Azerbaijani territories and committed ethnic cleansing in the occupied lands against the native Azerbaijani population. “Negotiating with the state that occupied your territory is the biggest concession by the Azerbaijani side. In order to achieve progress in the settlement of the conflict, the Armenian troops, in line with the requirements of the relevant resolutions of the UN Security Council, must be completely and unconditionally withdrawn from the occupied Azerbaijani territories. The April 2016 battles once again showed that aggression and presence of Armenian troops in the occupied territories of Azerbaijan continue to be the main threat to regional peace and security,” noted the spokesperson. “The only way out of the geopolitical and geoeconomic isolation, into which Armenia fell, is to put an end to the occupation against Azerbaijan, to establish civilized relations with neighboring countries. Otherwise, further aggravation of the socio-economic and demographic situation in Armenia is inevitable. The sooner the Armenian leadership understands this, the better it will be for the population of Armenia,” added the Azerbaijani official.